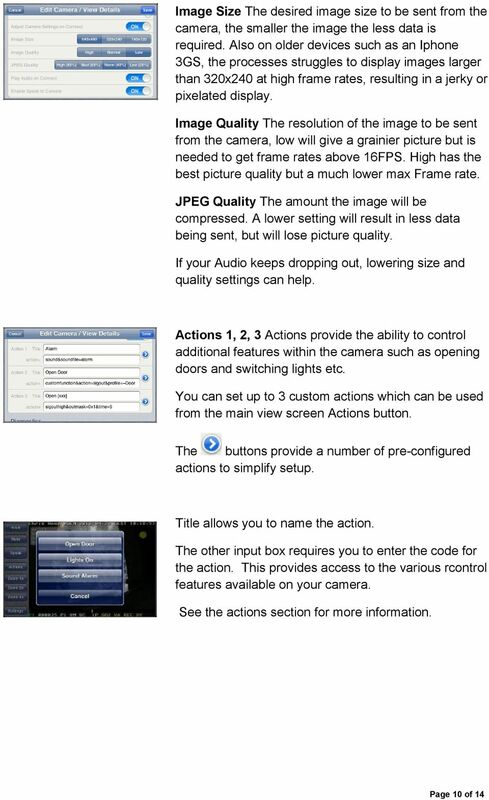 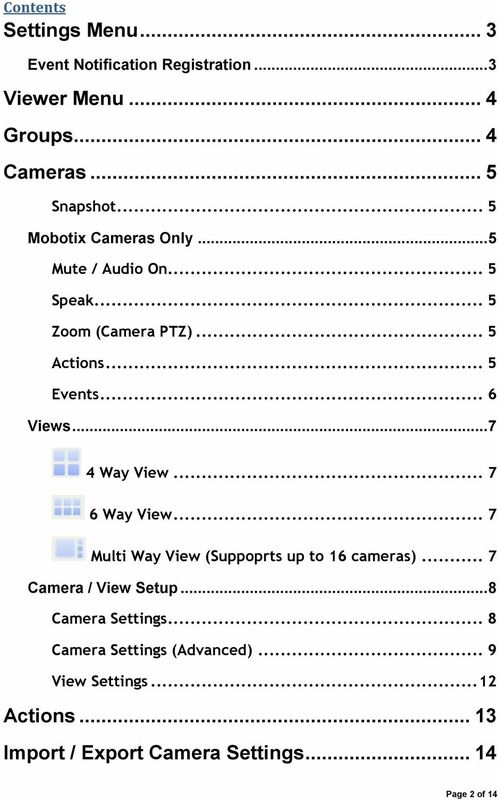 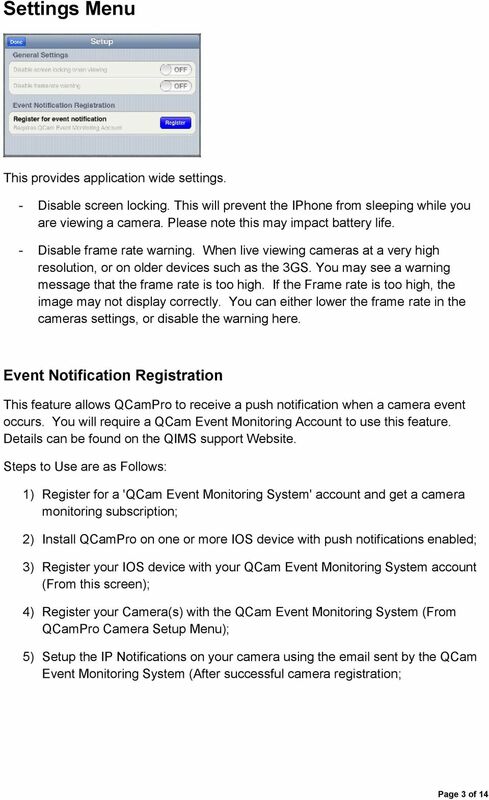 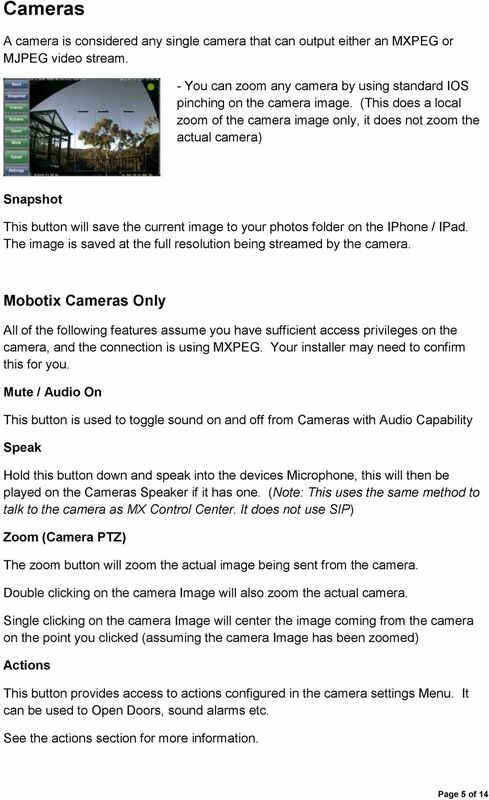 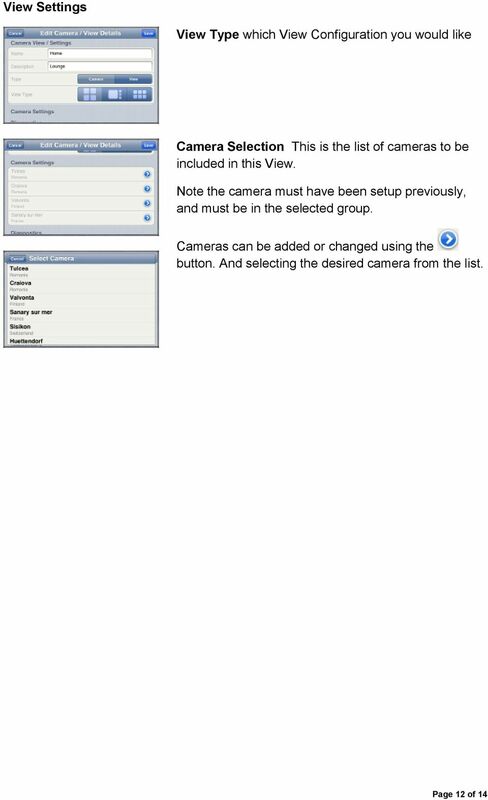 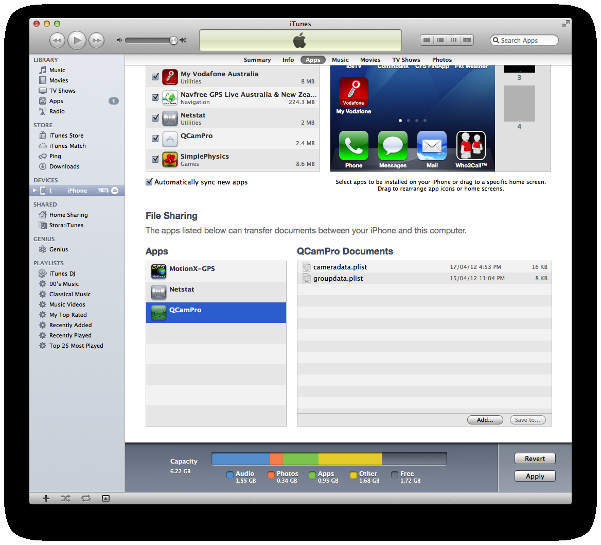 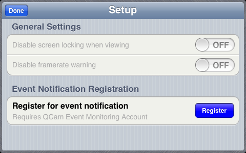 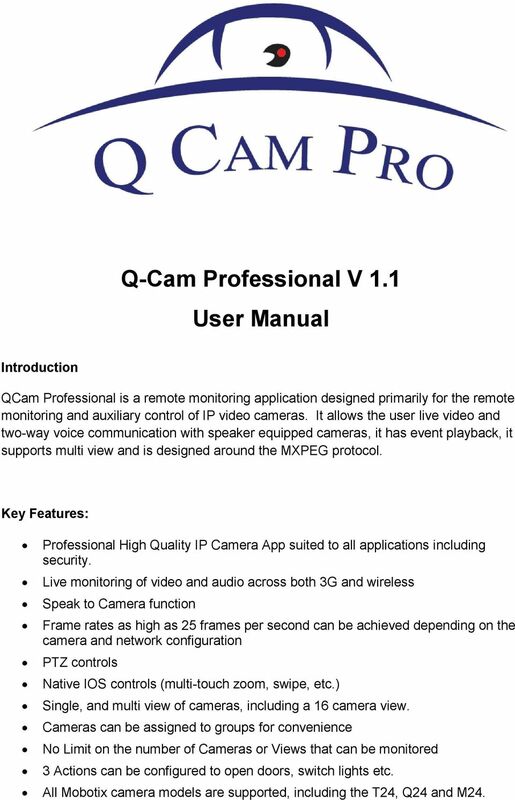 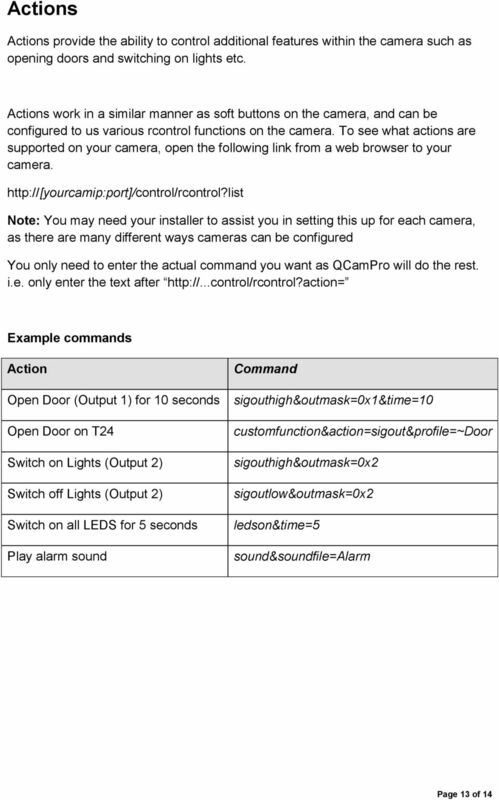 Download "Q-Cam Professional V 1.1 User Manual"
1 Q-Cam Professional V 1.1 User Manual Introduction QCam Professional is a remote monitoring application designed primarily for the remote monitoring and auxiliary control of IP video cameras. 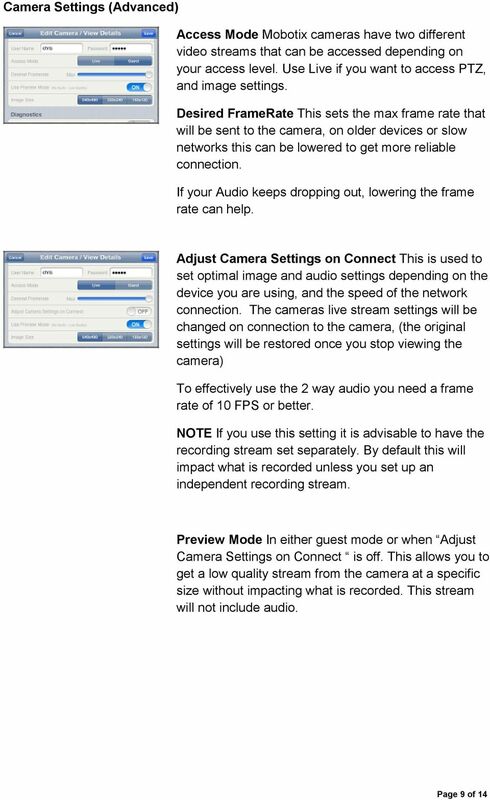 It allows the user live video and two-way voice communication with speaker equipped cameras, it has event playback, it supports multi view and is designed around the MXPEG protocol. 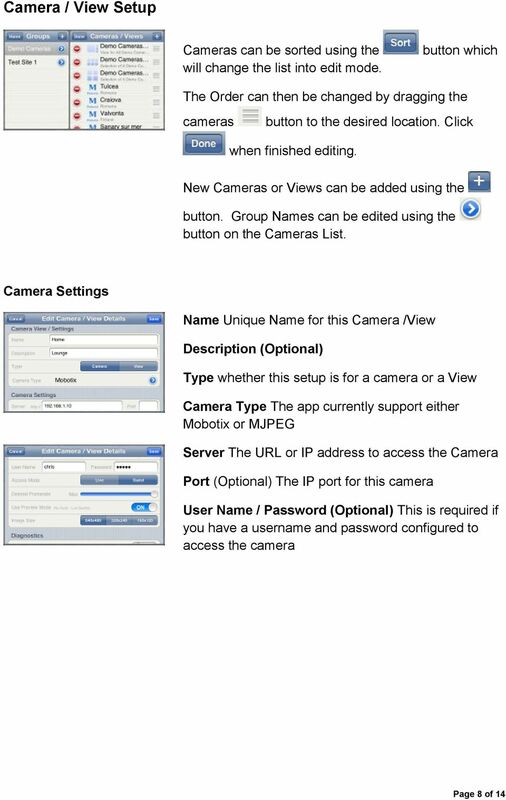 Key Features: Professional High Quality IP Camera App suited to all applications including security. 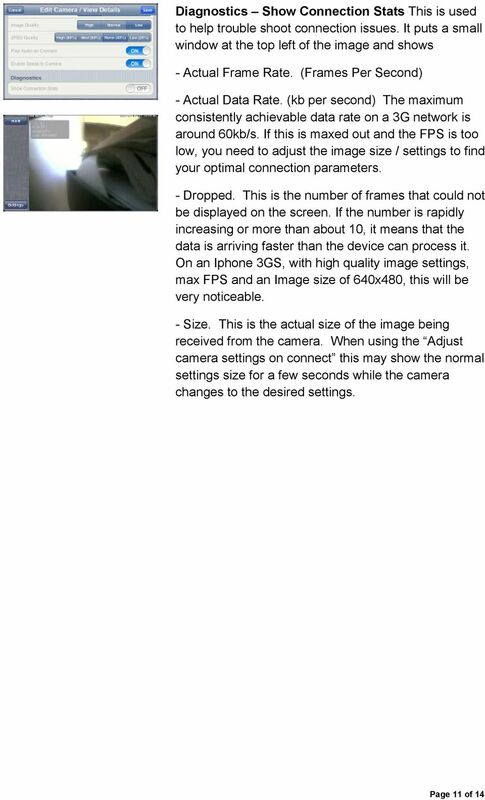 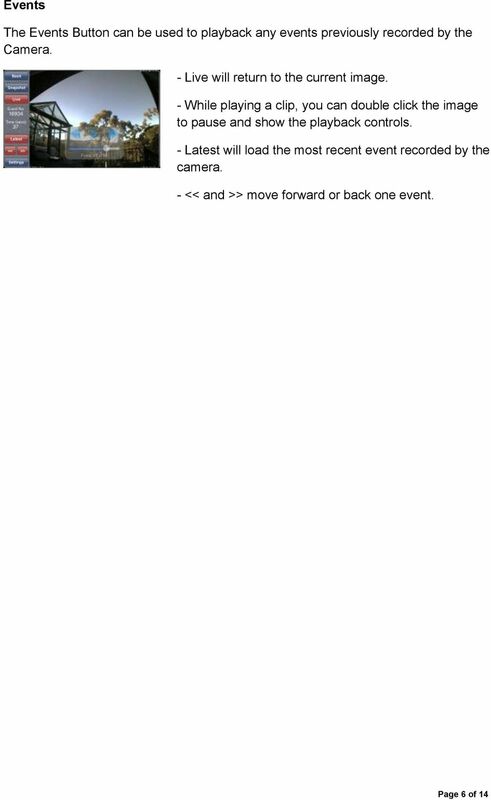 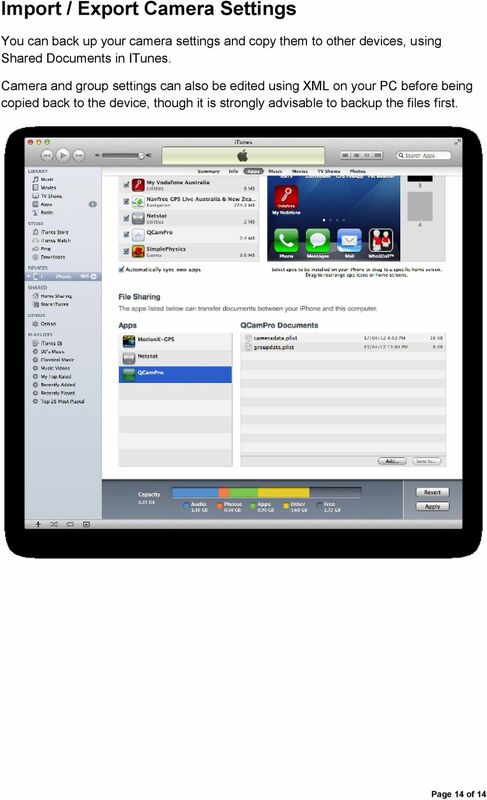 Live monitoring of video and audio across both 3G and wireless Speak to Camera function Frame rates as high as 25 frames per second can be achieved depending on the camera and network configuration PTZ controls Native IOS controls (multi-touch zoom, swipe, etc.) 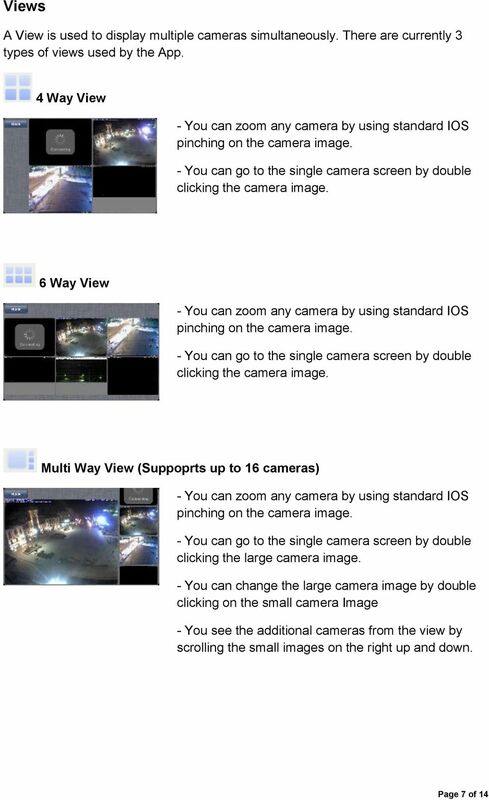 Single, and multi view of cameras, including a 16 camera view. 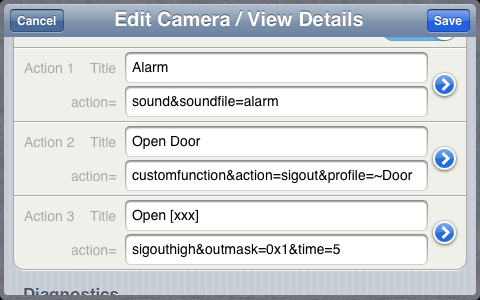 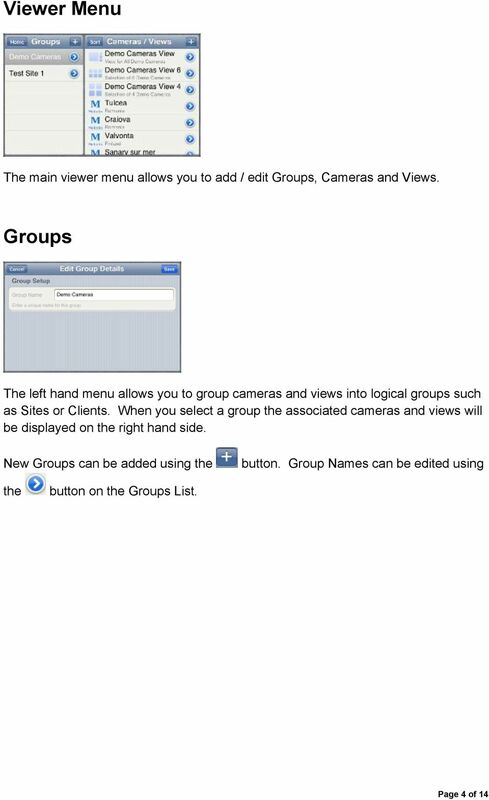 Cameras can be assigned to groups for convenience No Limit on the number of Cameras or Views that can be monitored 3 Actions can be configured to open doors, switch lights etc. 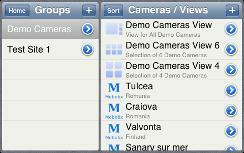 All Mobotix camera models are supported, including the T24, Q24 and M24.